What Does It Look Like, What Could It Be? You can watch the sky. You can pour a bowl of water and watch the world reflect on its surface. You can watch the flame in a fireplace or light a candle. Ink stains on paper are the most advanced variant. Regardless of method, your mind will soon enter a state when clouds, flame or stains start resembling something else – something inside you that you helped find its way out. In psychological diagnostics this is used to find out more about what you are. In this book I will be using it to show what we can be, what society around us looks like. 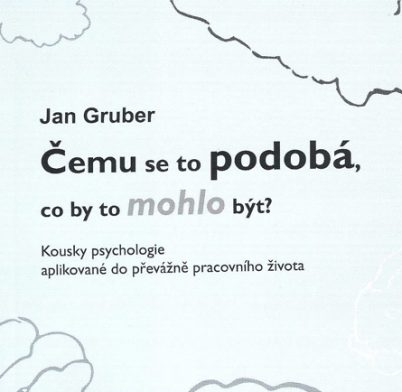 My chapters serve just like gazing into the clouds, they are the images of animals, plants, objects and mythological beings that I have been succesfully using as key metaphors for various skills and advices in applied psychology. Some of them tell about dealing with people, often in a work environment. Other deal with your own self – as regards time management, achieving a better life balance and peace of mind, changing your worldview. Yet other parts tell about my experience with the mental landscape, reflect people and events I have seen and want to tell you about since they could be useful. Have a pleasant and useful stroll through my, your and everyone else’s mental landscape.